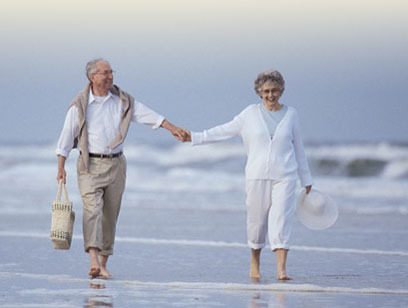 Your Retirement Paradise - in an international distribution plan? Is it only about maximizing sales? Many companies reflexively default to an international distribution model. And that's often a good choice - but not always, and certainly not by default. What strategic objectives would an owner have that might impact on channel model? Let's step back. Why do you run your business? You could generate an adequate income as an employee in various different companies - without the constant churn in your gut and uncertainty. You're building something - something for you, your family and your community. It's a passion and perhaps even a calling. And if you're like most entrepreneurs you probably don't ever envision stopping (the tough days probably don't conjure up images of shuffleboard) but a slower pace is almost certainly a movie you've played in your head. Along the way you are building an asset and beginning to position yourself for a liquidity event and the next chapter. ability to build retirement infrastructure - increasingly Americans are opting for overseas retirement. A recent bankrate.com article identified six appealing destinations for retirement by the "thousands who are migrating" and other articles in Barron's and MarketWatch document similar trends and benefits. The point is that in the course of normal business establishing and managing a regional subsidiary of your US business, you could very reasonably build your local retirement infrastructure largely as tax deductible operating investment. Now international retirement isn't for everyone. It's not even for the majority - although entrepreneurs are not necessarily representative of the typical. The point is that international business development offers a range of benefits and opportunities beyond the simple stats (e.g. 95% of the world's market is outside the US.) If you begin to build internatioanl sales, and automatically default to an international distribution channel model, you won't foreclose options but you'll complicate them. And if your accountant isn't throwing these sorts of planning scenarios at you then you need a broader base of advisors. I can almost guarantee that your business development consultant isn't...you're probably lucky to get anything beyond some market suggestions and some logistics pointers! So back to strategy. You don't know today exactly what will happen in 5 years, 10 or 20 when you are ready to sell your company. But you want to cultivate the asset to maximize your sales valuation. International business development will support that. And you may want to take even more bold and creative steps. Make sure you know what options you have, and preserve flexibility! Kind of intrigued? Quite intrigued? Doesn't matter where you are on that continuum, if you're not getting depth of perspective from your advisors, contact Consilium Global today. We have owned and operated international businesses; we have acquired assets through international and domestic business development and we have a perspective you will value. And recognize that seemingly simple choices - like choosing an international sales channel model, have potentially far reaching implications!